Ever since I’ve cut out the white poison (might sound a little bit harsh but more later) known as refined sugar from my diet, I’ve been looking for healthier alternatives. As you know I love baking and cooking, so having yummy sweeteners is a must for me! 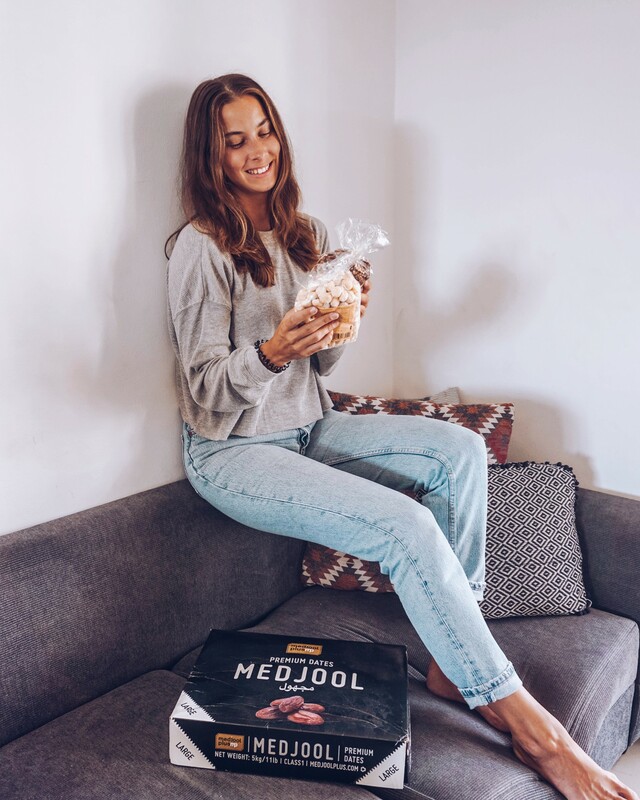 Over the years I’ve tried and experimented with many of them and eventually found the healthiest natural sweetener: Medjool dates! In addition to the fruit itself there are also variations like date sugar (made from 100% ground dates) and date syrup, which are both amazing and can be used for various purposes. Dates in general are incredibly healthy as they’re of vitamins, minerals and fiber. If you have no idea what dates are, here’s a quick explanation: Dates are the edible fruit of the date palm tree. 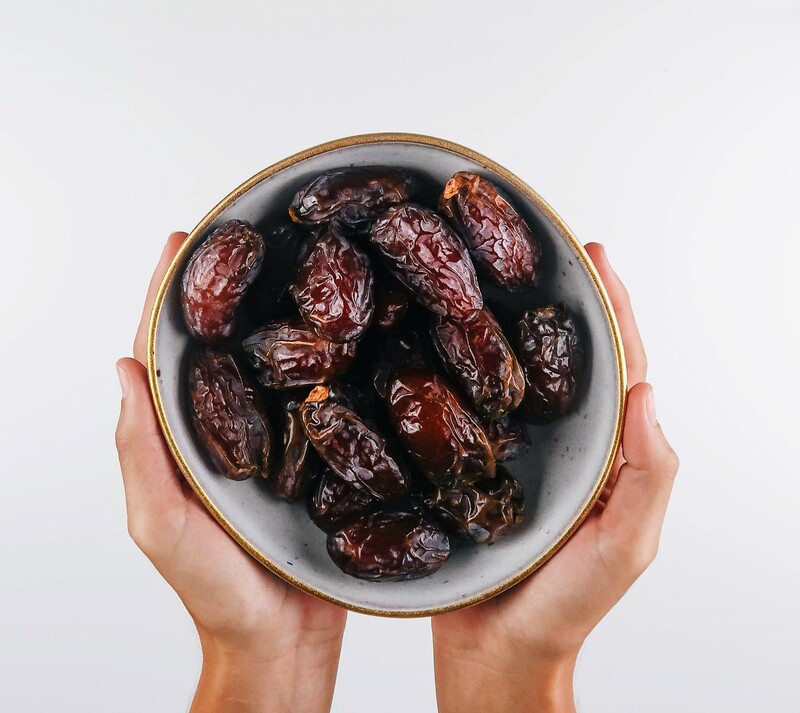 The Medjool date variety grows primarily in the Middle East (Saudi Arabia, Israel, Iran, Jordan, Palestine), California, and North Africa. Dates make great natural sweeteners and sugar alternatives, and have a variety of health benefits. They have been proven to decrease cholesterol and boost bone health, and help with a number of other health issues. Where do I get my dates? I know there are a lot of stereotypes out there regarding eating too much fruit, the high sugar in fruit, blah blah, but as discussed in previous posts, this anti fruit sugar hysteria is complete non-sense. The fiber, vitamins and minerals of fruit cancel out any negative effects and contrary to popular opinion DO NOT cause weight gain or a rise in blood sugar. Do dates cause weight gain? 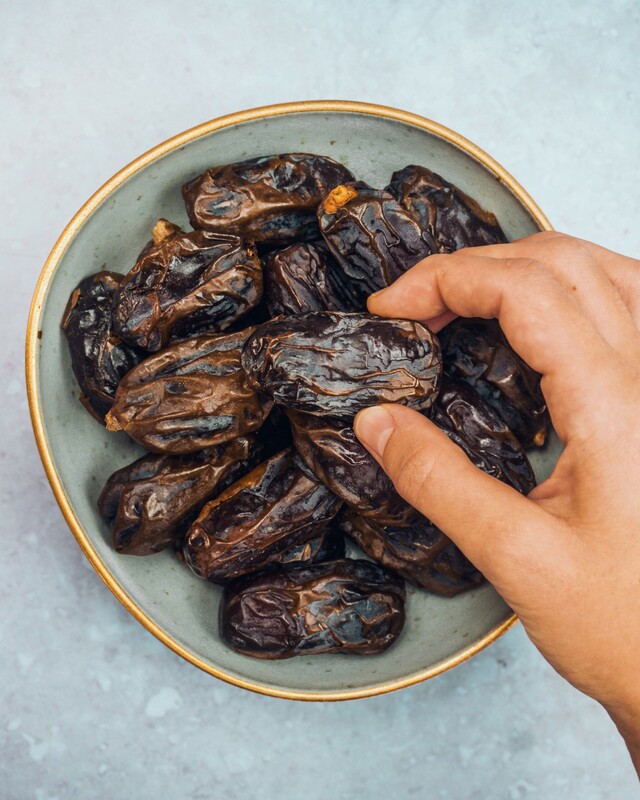 “When compared ounce-for-ounce, dates have about five times more calories than fresh fruit, however eating dates on a daily basis does not result in weight gain. In fact, those who eat one tablespoon or more of dried fruit a day, including dates, tend to be less overweight, have slimmer waists, and less abdominal fat. 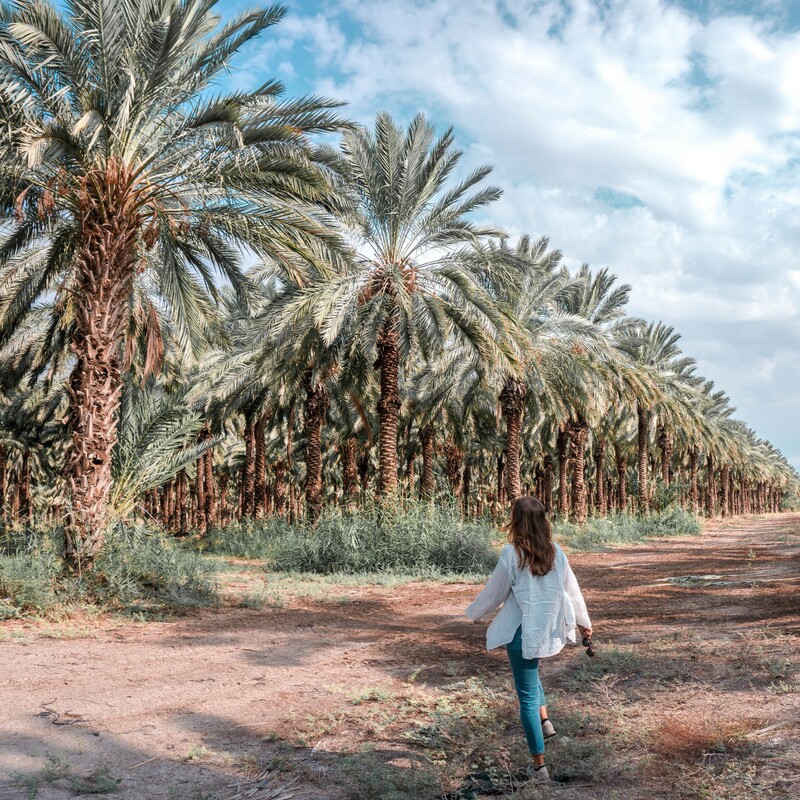 During my last visit to Israel I had the pleasure to visit a date plantation close to the border of Jordan and it was such a breath-taking experience. The lovely people from Medjool Plus – one of the major date distributors (both organic and non-organic) – invited me to spend the day looking at organic date farms and learn about the whole process of how the dates end up with the consumer.